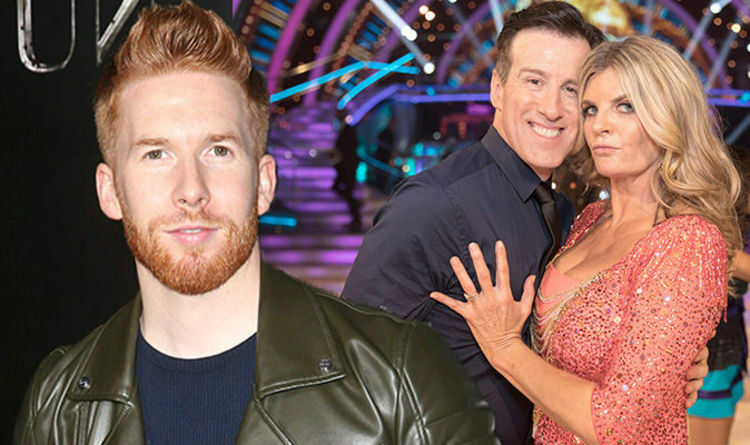 Strictly Come Dancing 2018 professional Neil Jones, who is married to co-star Katya Jones, appeared on screen for the first time in 2016 during the 14th season. However, last weekend, the pros were partnered up with the already announced celebrities and he wasn’t one of the lucky faces. His spouse, 29, also joined in the same year but has been partnered up three times in total, with Ed Balls, winner Joe McFadden and now Seann Walsh. But, Neil has remained positive about the whole process in a joint interview with his partner in this week’s issue of OK! Magazine. He admitted that people around him thought that this was his year following Brendan Cole’s exit. The British star continued: “It’s nice to hear that so many people want to see me with a partner and if one year I do get a partner in the main show, fantastic. Meanwhile, Katya has revealed her thoughts on dancing with comedian Seann, with their first live performance set for next weekend. She famously got politician Ed doing Gangnam Style before triumphing with Holby City’s Joe, 42, in December. The actor beat off stiff competition from Debbie McGee, Gemma Atkinson and Alexandra Burke. Speaking about how training is going, Katya added: “From what I can see so far, Seann is going to work really hard – he’s cleared his schedule and every spare minute I saw him in the rehearsals for the group number he was going over the steps. But more than that he’s just so adorable. Susannah Constantine is the current favourite to eliminated first, with Coral offering odds of 2/1, followed by Seann, 32, on 4/1. “The stars are hard at work practicing their moves ahead of the live shows but everything is pointing towards a struggle for Susannah. “We think her and Anton might well need a few extra sessions between now and then if she’s to survive and she’s the clear favourite to be the first to be eliminated,” said spokesperson Harry Aitkenhead. They also don’t have high hopes for Lauren Steadman (6/1), Graeme Swann (7/1) and This Morning’s Ranj Singh (8/1). Read the full story in this week’s OK! Magazine – out now. Strictly Come Dancing 2018 continues September 22 on BBC One.